Normally, office supplies and food don't mix, but you can use a paper shredder to make fresh pasta in your very own home (...or office). In other words, you don't have to buy a bulky and expensive piece of equipment to make fresh pasta. 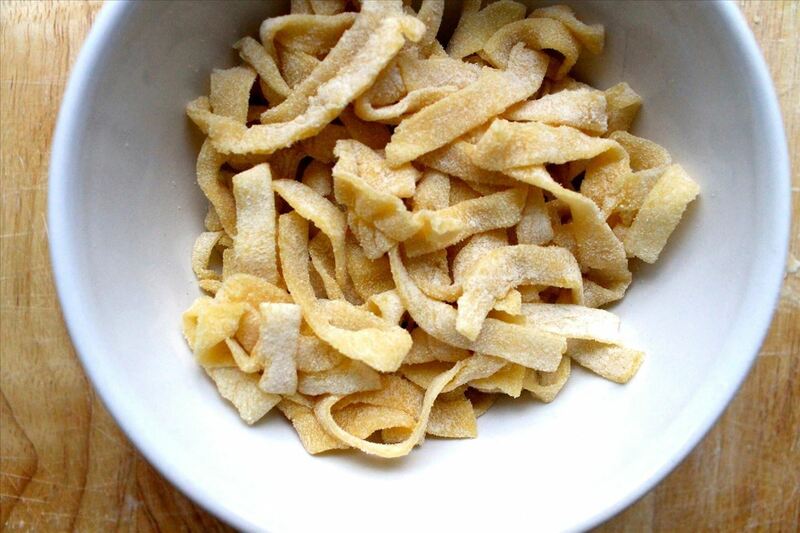 If you already have a paper shredder, you can simply feed pasta dough through it for perfect tagliatelle noodle strips that will taste far better than anything you can buy at the store. Before getting started, your paper shredder needs to be thoroughly prepped. Make sure to wash out any oil and old paper bits from the machine before feeding your dough through. You'll want to make sure the machine is disassembled and unplugged before you handwash it with soapy water or a vinegar or alcohol solution. For more detailed help, click here. 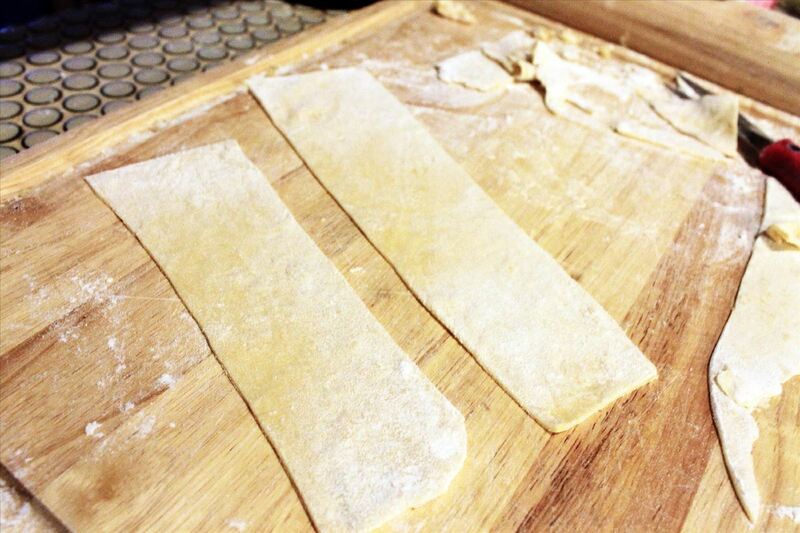 If you've never made pasta dough at home before, it's incredibly simple. All you need are eggs and flour. Ree Drummond, aka the Pioneer Woman, suggests two eggs for every one cup of flour. This will make enough pasta for two people, so adjust accordingly. Take one cup of flour and make a mound of it on the counter. Form a small well in the middle of the mound. Crack two eggs into the well. 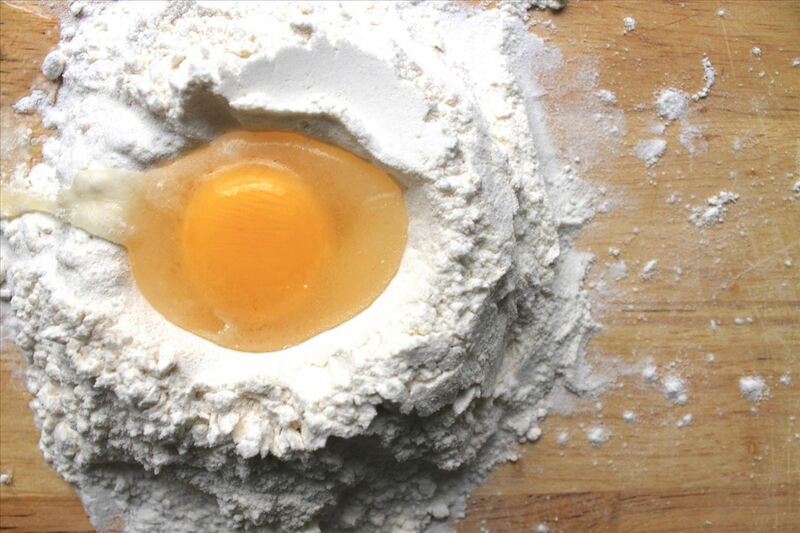 Slowly mix the flour into the eggs with your fingers or a fork. Once the ingredients are completely incorporated, knead the dough until it is smooth and consistent. Let the dough rest in a ball for about 20 minutes. If you're not going to make pasta right away, wrap it in plastic. It will keep in the fridge for one or two days. It is very important that your dough is as thin as possible, almost paper thin, if you know what I'm saying (wink, wink). 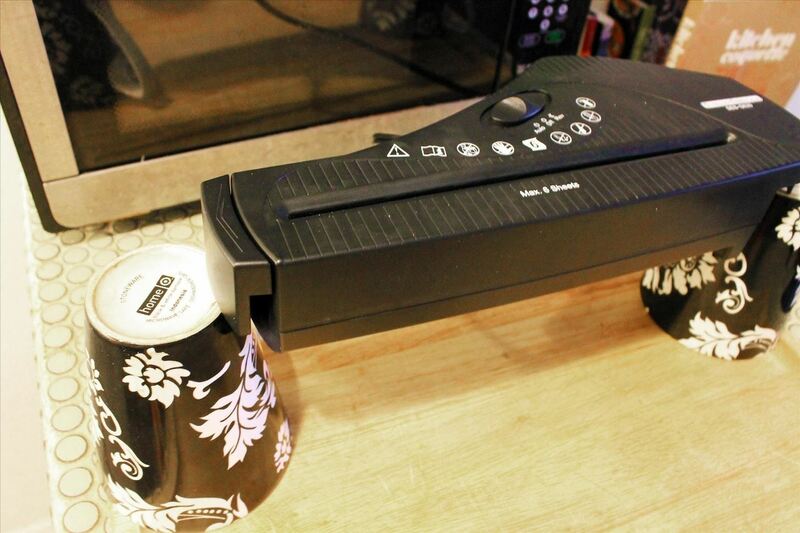 The thinner your dough, the less likely it will get stuck in your shredder. 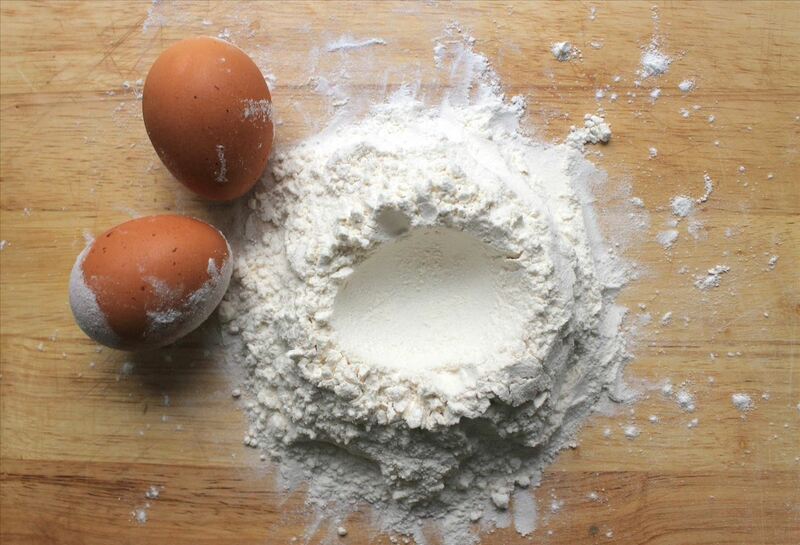 Spread a decent amount of flour on your counter or cutting board and rolling pin. If you don't have a rolling pin, a wine bottle works just as well. The flour keeps the dough from sticking to your work surfaces. Divide your ball of dough into quarters. It's easier to roll out smaller batches. Gently flatten your dough ball, being sure to flour both sides, and roll it out until it is as almost as thin as a piece of paper. 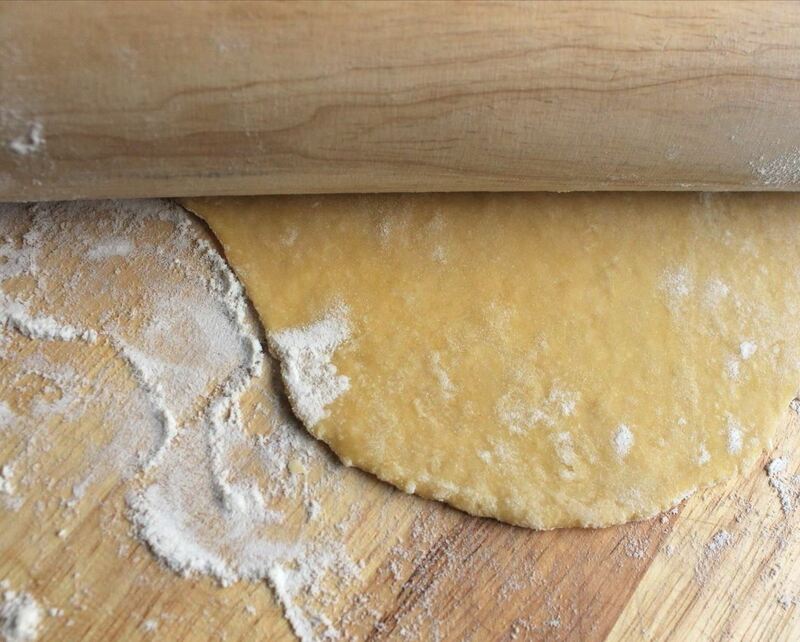 Cut your rolled out dough into two to three wide strips. Repeat until all of your dough has been rolled out. Here comes the fun part: now you're ready to make the noodles. Remove the paper-catching receptacle from your shredder and prop the shredder itself on cans, glasses, mugs, or something that has height so that the pasta can fall onto your counter. Turn on your shredder. Note: some shredders are "automatic" and don't start running until they feel contact. This doesn't work well with dough. I had this problem and solved it by turning the shredder device upside down and turning the setting to reverse. The machine kept on running the entire time. 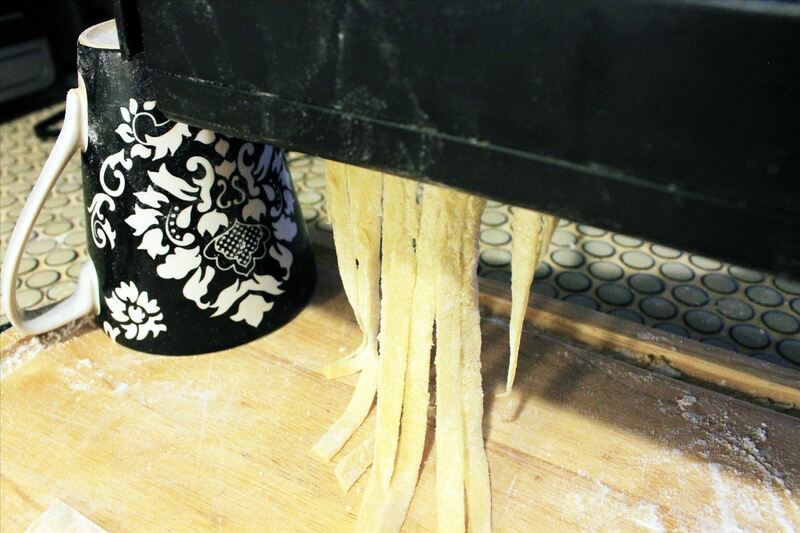 Feed your pasta dough strips through the shredder. Scoop up the noodles as they come out and rest them in a bowl. Cook your fresh tagliatelle pasta noodles. Remember to always clean your shredder after use. Lifehacker points out that canola oil is a great way to keep it in working order, whether you want to use it again to cut up paper or pasta. If you want to get fancy, check out this Tagliatelle alla Bolognese recipe from Italian cooking site, Guida Garrubbo. If pasta dough can be shredded, some other foods might be able to as well. Here are some ideas. For those who are gluten-free and want to eat "zoodles," use thin slabs of zucchini. For finely shredded salad or coleslaw, use lettuce leaves or cabbage. For creative baking projects, run sugar cookie dough for cookie "noodles." What other paper shredder hacks are out there? Read here for more tips on cooking pasta and try this easy pasta sauce recipe to go with them. One-Pot Pasta is another idea to try! I agree—it's a great idea, Tara!